Bilberry is defined as the medicinal herb of naturally grown species serving many purposes for the living organisms. They belong to family of Eurasian species, containing the edible nature of BlackBerry. These bilberries grow in low quantity in the form of groups or single plant and mainly these plants have the native origin in some parts of Europe. The bilberry plants offer multi nutrition values to people using it which is mainly found in genus Vaccinium. These edible barks also belong to the features of berry family where the delicious berries are grown like these species. The bilberry plant is the richest natural source of anthocyanin that act as an antioxidant feature for the people to enrich its value by having it by their side. The bilberry extract serves as a benefit of solving many health issues and these issues can be turned out quickly and act as an anti oxidizer to give strength to fight against the issues. The essential feature of bilberry includes the following factors. The bilberry extract has the medicinal value of curing the cataract issues related to vision problem and the night-blindness. Leutin present in the eye ensures the vision and when the medicinal value of bilberry extract combines with this leutin tissue makes a difference in the vision. The bilberry production from the plant also act as a good medicine for stomach disorders, indigestion problems and the anti-inflammatory and astringent properties are used to tighten tissues for the reduction of symptoms of reduction of Diarrhea. 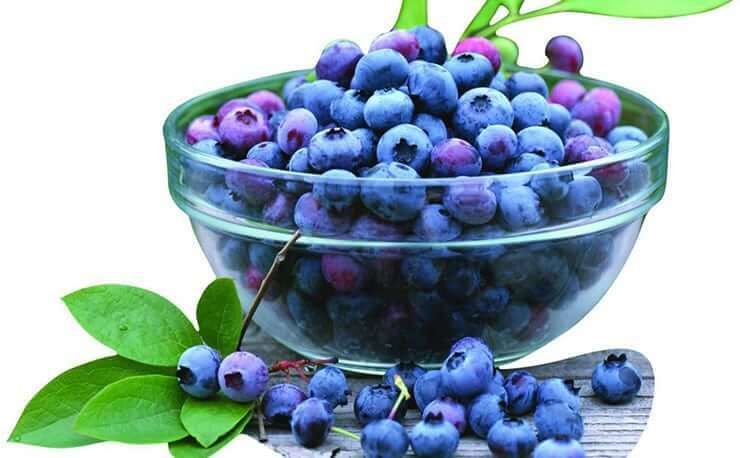 The work of bilberry extract improves the count of platelets and the muscle contraction exhibits the value of the use of bilberry consumption and it also acts as the preventive disorders of haemorrhoids. The veins present in leg gets damaged while carrying blood and as a result there occurs itching and pain in the leg. Due to the presence of anthocyanin, the sugar level in the human body gets regulated and the extraction of bilberry helps in increasing the nature of insulin secretion in the human body with the hyperglycaemia condition to be regulated effectively. This extract also helps in the treatment of cancer by inducing apoptosis. The other benefits of bilberry extraction include the neuroprotective solutions to be encapsulated to treat many diseases by the phenolic compound present in the bilberry plant. The menstrual cramps can be prevented using this species and for skin care and the maintenance of liver health to be checked regularly to ill-effects of the human health. The advantages include prevention of kidney failure and cardio protective measures are seen to maintain the cholesterol level and the plant also involve antimicrobial effects. The process of extracting bilberry from the plants involves simpler process making the plant extract to be enriched in medicinal herb. The process of extracting bilberry from the plants involves simpler process making the plant extract to be enriched in medicinal herb. The extraction process includes the flavonoids excretion and these flavonoids also known as anthocyanosises which is considered as the active ingredient to be used for endocrine health and the current research on the extraction of bilberry results in ocular health and the standardized form of this medicine yields 25% of anthocyanosides to be used for the effective value seen in human. The cells of the eye get protected and the radical damage of eyes can be cured. These extracted species help in reinforcing the connective tissues leading to improved level of flow of blood to be circulated. The powerful antioxidant supporting the relief of pain from the various parts of the body helps human to recover soon from the issues. The anthocyanidin content ranges from 300 mg to 700 mg per 100 grams of fruit based on the region where they are picked from the areas of grown plants. Bilberries are more secure to eat as such taken from plants and to consume in extract form of medicine, according to the Natural Medicines survey. Research has also shown that bilberry flavonoids have a unique feature for rhodopsin which is a type of photosensitive element in the retinal rods, which are responsible for night vision.